Peter Uihlein continued his strong consistent play by claiming individual medalist honors in the just completed 2010 NCAA Southeast Regional.Â Peter fired rounds of 68-70-68 for a four under total on the very challenging Crabapple Course of the Capital City Club in Georgia. 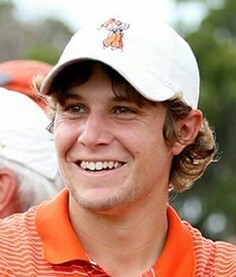 The team score is based on the best four of five scores from each team and the Cowboys won that title by a slim two shots over Clemson.Â Stay tuned as the Oklahoma State Cowboys and Peter Uihlein take a run at the NCAA Championships at the Honors Course in Tennessee from June 1 through June 6. Read more about the tournament, or or read Peter Uihleinâ€™s 2009 Walker Cup Success, Peter Uihlein WAGR #1 Rank previously posted on this blog. During the seemingly endless months of winter we sometimes feel as though the warm days will never arrive, alas they do, and suddenly we are all ready to cool off! 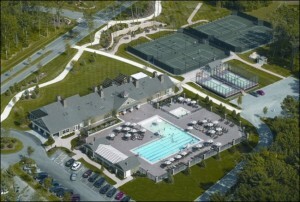 Luckily forÂ members of the Bay Club at Mattapoisett, that time has come!Â The Bay ClubÂ will be opening the poolÂ for the season onÂ Saturday, May 29. Returning this summer is Aquatics Director Courtney McNeil along with Bay Club lifeguard Nate Medeiros, who will lead the Bay ClubÂ Competitive Swim Team.Â Â Swim training for adults or young children isÂ also available. The Bay ClubÂ at Mattapoisett is once again offering members golf clinics during late Spring and early Summer.Â These clinics are designed and organized by the Bay Club Professional Golf Staff to educate students in a relaxed learning environment.Â The drills are designed toÂ helpÂ members improve theirÂ gameÂ usingÂ actual scenariosÂ encountered on the course.Â The instructionÂ provides information on theÂ various shot options,Â how to select the right club for your game and how to most effectively complete the hole.Â Â These highly effective clinics are well attended by all levels of golfers at the Bay Club at Mattapoisett. 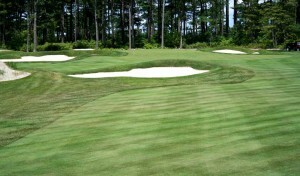 The Bay Club at Mattapoisett opens their Twilight Golf season this month for both the Ladies and the Men.Â The evenings include nine holes of golf followed by cocktails and dinner at the Golf House restaurant.Â Twilight Leagues run all summerÂ long and are a great informal competition forÂ the members. The Bay Club’s Peter Uihlein is the new World Amateur Golf Ranking Number One.Â Peter moved into the number one spot after Italyâ€™s Matteo Manassero announced his transition to the professional game. The World Amateur Golf Ranking for men is based on the results of over 750 amateur tournaments and is updated weekly. Rankings are based on the players’ average performances in counting events over a rolling 52 week period. >Read the full story as posted by Word Amateur Golf Ranking, or read Peter Uihlein’s 2009 Walker Cup Success previously posted on this blog. This video is one of our favorites, it captures Uihlein’s 18-foot putt on No. 18 at the 2009 Walker Cup in Merion, PA, which gave Team USA a 3-1 lead heading into the Saturday afternoon singles session.